Watercolor on 140 lb. Arches paper. 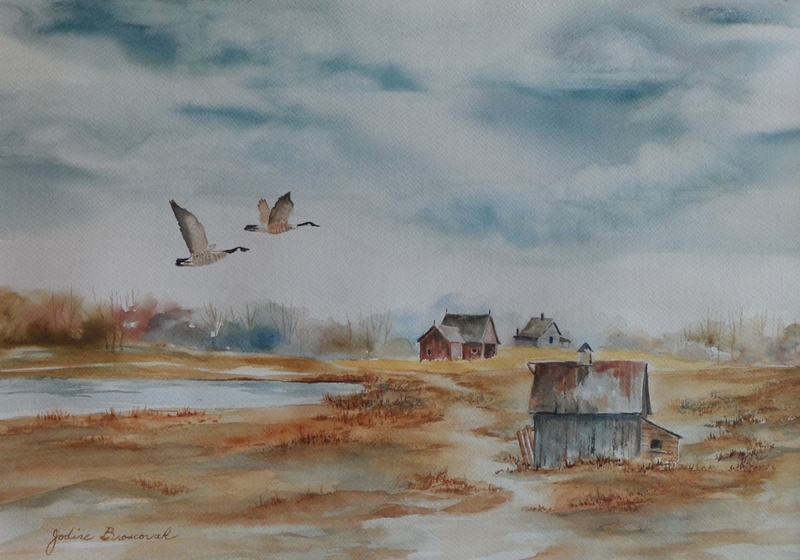 Geese passing over abandoned farm. Original is framed. Price includes frame. Contact artist for image of framed piece. 11" x 15.75"13" x 18.5"14.75" x 21.25"